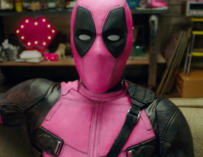 Céline Dion has performed the official song for Deadpool 2, Ashes, and not only is it a beautiful song, but Deadpool gets to show off his incredible dancing ability in the video. Check it out right here! Deadpool and Céline Dion have teamed up. I bet that was a sentence you were never expecting to read. 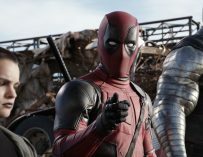 One of the world’s most famous singers (who also happens to be Canadian) has performed the official song for Deadpool 2, and it’s beautiful. The song is called Ashes, and it showcases Dion’s incredible vocal range, and the video shows off Deadpool impressive dancing skills. Who knew that the Merc With A Mouth was so graceful? And look at the legs on that man! Wow! At least, I think it’s a man. OK, it’s clearly not Ryan Reynolds dancing around the stage in that Deadpool costume, but it’s still a sight to behold. This is just more evidence of how perfectly Deadpool 2’s being marketed. No other superhero movie can boast a song performed by Céline Dion. Only James Cameron’s Titanic can do that. Yet, she’s now given her musical talents to Deadpool 2, which is utterly insane and also brilliant. Although judging by the end of this video, she might not know which superhero movie her song is attached to exactly. She calls Deadpool “Spider-Man” at the end. A simple mistake to make. Both wear red costumes with white eyes, and both are Marvel characters. However, the similarities end there. Deadpool is a mentally unstable killer who sometimes saves people, whereas Spider-Man is, well… you’re friendly neighbourhood Spider-Man who can climb up walls and shoot webs from his wrists. 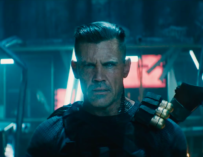 Deadpool 2 will be coming to UK cinemas on May 16th, so not too long to wait now. 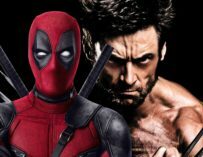 Are you looking forward to Deadpool 2 and what did you make of this video? Let us know in the comments below.